Beyoncé and Jay Z held a star-studded Oscars after-party on February 24 in Los Angeles. Rihanna and her best friend Melissa attended and of course, Rih looked incredible. Thankfully she shared not one but three photos of her outfit on Instagram. Styled by Jahleel Weaver, she rocked a couture dress with lots of stunning accessories that complemented the print. Rihanna donned this off-the-shoulder mini dress from Alexandre Vauthier‘s Spring 2019 couture collection. Rih and Vauthier are always a fabulous combination. The animal print dress features a cinched waist, lots of ruffled tiers and an asymmetrical hem. She paired the dress with a pair of black sandals. Designed by Amina Muaddi for Alexandre Vauthier’s Fall/Winter 2018 collection, the Yasmin sandal features a thick ankle strap, a crystal-embellished buckle, stiletto heel and branded insole. The shoes usually retail for $899 but get them on sale from Farfetch right now for $450. The Barbadian stuck with the animal theme for her handbag of the night. 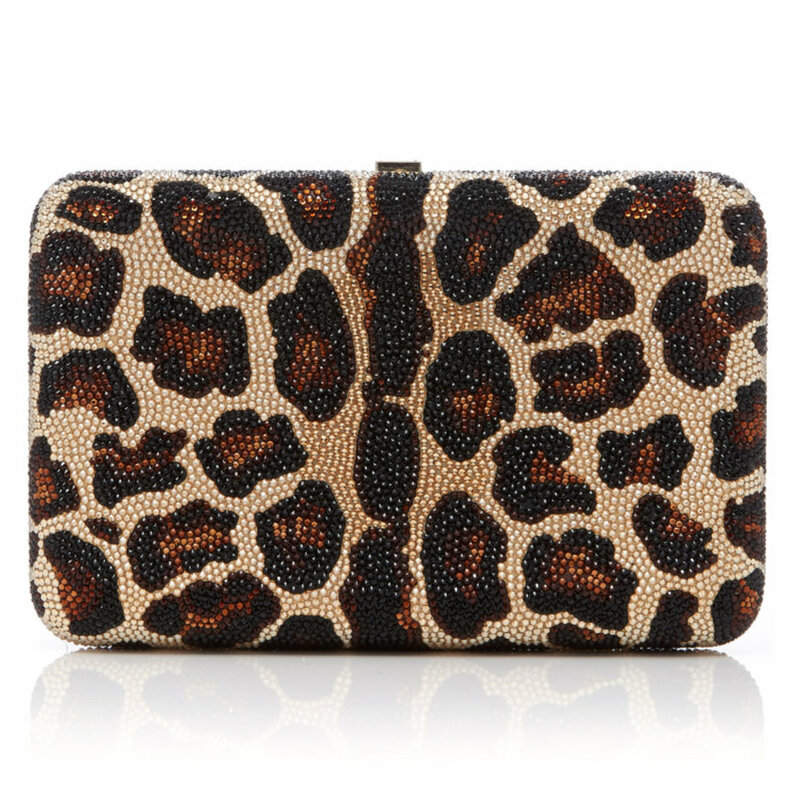 She chose Judith Leiber‘s crystal-embellished seamless leopard print clutch ($4,195). It boasts Austrian crystals in various colours and an optional gold shoulder strap. 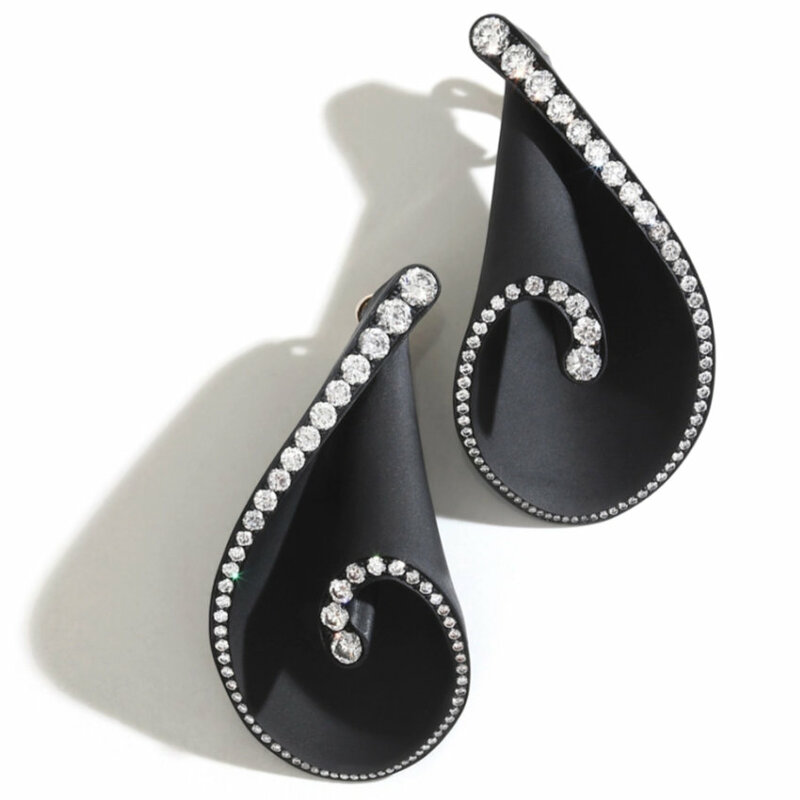 Emmanuel Tarpin designed Rih’s beautiful earrings. These seashell earrings are made of aluminum and yellow gold and feature over 30 carats of brilliant-cut diamonds in graduating sizes. David Webb is a jeweller Rihanna really loves and she wore two of his rings. First is this cigar band ring from the “Manhattan Minimalism” collection that is worth $29,500. 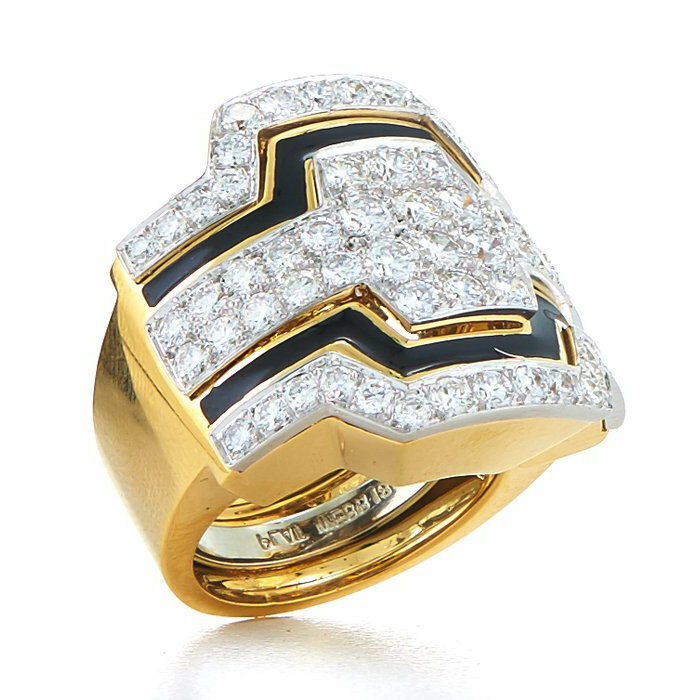 It’s made of platinum, black enamel and 18k yellow gold set with brilliant-cut diamonds. Click here to shop. This other ring is also from Webb’s “Manhattan Minimalism” collection. 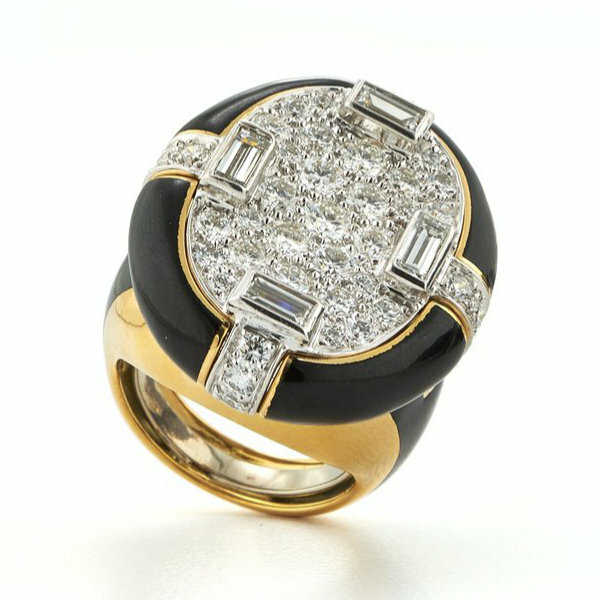 Made of 18k yellow gold, platinum and black enamel, it boasts both brilliant-cut and baguette diamonds. It’s worth $34,000. Click here to shop. Last but not least are these two cuff bracelets by Hammerman. 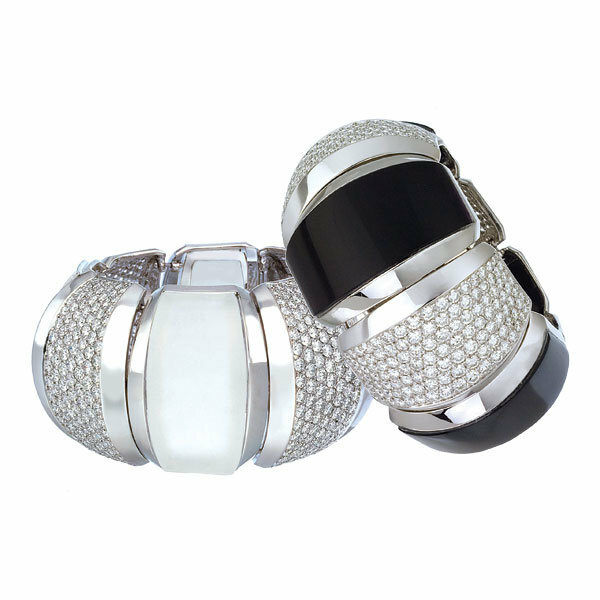 Made of 18k white gold, the so-called “Outrageous Cuffs” are set with white diamonds, onyx or crystal.